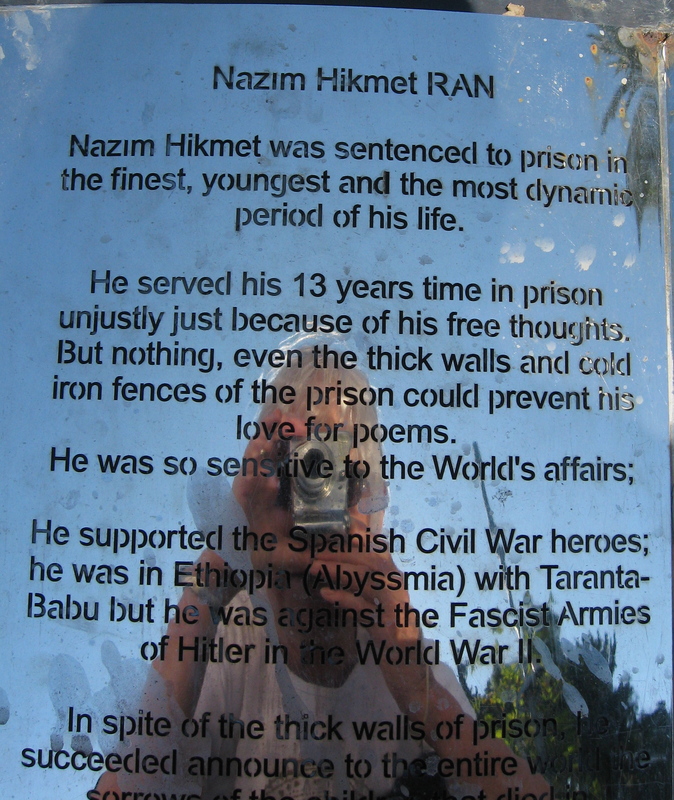 Nazim Hikmet. Never heard of him, but a quick search yielded some poems online. And oh oh oh! I read his “On Living” and “Things I Didn’t Know I Loved” and “Some Advice to Those Who Will Serve Time in Prison” and it was like a space inside me opened up and joy rushed in. Sometimes something like a poem or two or three will come your way, and it marks a day, or even an entire two weeks of holidays. It stays with you. Once home, I was delighted to find a book of his selected poems in the library, which I’ve enjoyed too. This entry was posted in Books, Reading and tagged "On Living", Mutlu Konuk, Nazim Hikmet, Randy Blasing, Turkish poets by doradueck. Bookmark the permalink. Thanks for introducing me to Nazim Hikmet, Dora. He describes A Good Day (my current theme) so well! Thanks, Shirley — and an aside to readers, do take the time for a very good day at Shirley’s blog! Yes, Nazim Hikmet and this poem of his you’ve posted makes the most sense because if we’re not living then we must dead, so why not really, really live while we live? Thank you, Susan. Really, really live, yes, I think that’s what he’s saying, and in spite of his words to the contrary, never without an awareness of death either, somehow it’s the fact of an ending, to my mind, and — I would add — hope beyond that, that animates this intensity. His prison poems unpack this further. Thank you Dora for introducing this poet to me. I look forward to reading more works by him. “We must live as if we will never die.” Lately I’ve heard more about living with awareness that I WILL die! It comes naturally at my age! I just want to live well and make the moments count! It feels like a contradiction, doesn’t it, and I know I felt that too, but somehow on further thought it doesn’t. If that makes sense.